This is a beautiful 5 bedroom brick & stone home in Coventry Arms features unique features! Enter into the 2 story vaulted ceiling family room with gas fireplace. Ease into the sitting room, then into the stone columned dining room with crown molding. Next is the large eat in kitchen with gorgeous cherry cabinets, island bar, granite counter tops, pendant lighting, & modern stainless steel appliances. Also, a half bath, walk in pantry, & huge laundry room. Upstairs is a vaulted ceiling master bedroom with french doors leading into private master bathroom. 3 more bedrooms & full bathroom is on the 2nd floor. 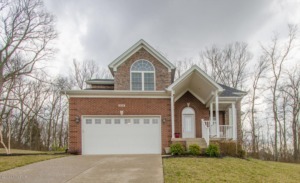 Plushly finished basement w family room, big guest bedroom w its own attached bathroom. The backyard boasts a covered patio and a wooded lot. Don't miss the 2.5 car garage! Click to schedule your showing.